It's NFL Wild Card Weekend Preview Time! - Fantasy Football, Fantasy Football Rankings | Mac Bros.
Uncategories It's NFL Wild Card Weekend Preview Time! 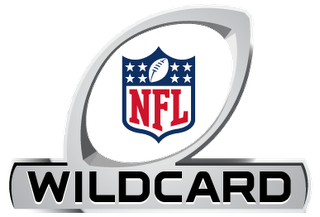 It's NFL Wild Card Weekend Preview Time! It's closing in on the first weekend of January 2012 and that means it NFL Wildcard Weekend time. Here's a look at all the games. The 2011 postseason starts on Saturday when the Bengals visit the Texans. The game can be the first postseason game in the Super Bowl era in which two rookie quarterbacks – Cincinnati’s ANDY DALTON and Houston’s T.J. YATES – start against each other. The Bengals, led by head coach MARVIN LEWIS, have qualified for the postseason twice in the past three seasons. Quarterback Dalton (3,398 yards), a native of Katy, Texas, and wide receiver A.J. GREEN (1,057) teamed to become the first rookie tandem in NFL history with a 3,000-yard passer and 1,000-yard receiver. The Texans qualified for the postseason for the first time in franchise history and claimed the team’s first division title. Houston boasted one of the league’s top defenses, ranking second in total defense (285.7 yards per game), third in pass defense (189.7) and fourth in rush defense (96.0). The Texans and Baltimore Ravens were the only teams to rank in the top five in all three categories. The teams met in Cincinnati in Week 14 when Yates threw a six-yard touchdown pass to KEVIN WALTER with two seconds remaining in the Texans’ 20-19 come-from-behind victory. Yates can be the first rookie quarterback drafted in the fifth round or later to start a postseason game in the era of the common draft. For the first time in NFL history, a playoff game will feature two 5,000-yard passers – New Orleans’ DREW BREES (NFL-record 5,476) and Detroit’s MATTHEW STAFFORD (5,038). The duo’s combined passing yardage total of 10,514 yards is the most ever for opposing starting QBs in a playoff game, and will surpass the mark of 8,888 set by PEYTON MANNING (4,500) and Brees (4,388) in Super Bowl XLIV. Detroit is back in the playoffs for the first time since 1999. The Lions scored a team-record 474 points and gained 6,337 total net yards, the most in franchise history. Stafford set multiple team passing records, including yards (5,038), touchdowns (41) and passer rating (97.2). Detroit wide receiver CALVIN JOHNSON, who was selected to his second consecutive Pro Bowl, led the NFL with 1,681 receiving yards and had a team-record 16 touchdown receptions. Johnson is the first Lion since Pro Football Hall of Famer BARRY SANDERS (1991) to score 15 TDs in a season. New Orleans has won eight in a row and the club has advanced to the postseason for the fourth time in six seasons under head coach SEAN PAYTON. The Saints, who had five players named to the Pro Bowl, had an NFL-record 7,474 total net yards and 5,347 net passing yards. Brees set numerous league single-season marks, among them passing yards (5,476), 300-yard games (13), consecutive 300-yard games (seven), completions (468) and completion percentage (71.2). Running back DARREN SPROLES had an NFL-record 2,696 all-purpose yards and became the first player in league history to record at least 1,300 scrimmage yards (1,313) and 1,300 kick-return yards (1,383) in a season. Two of the hottest teams down the stretch will meet at MetLife Stadium on Sunday afternoon. Both the Falcons and Giants won three of their final four games to make the postseason. The Falcons have qualified for the postseason in back-to-back years for the first time in team history. Ryan, RB MICHAEL TURNER (1,340 yards) and WR RODDY WHITE (1,296) became the second Falcons trio with a 4,000-yard passer, 1,000-yard rusher and 1,000-yard receiver. New York won its final two games to win the NFC East, including a Week 17 win over the Dallas Cowboys. Head coach TOM COUGHLIN has guided the Giants to five postseason appearances, tied with BILL PARCELLS for the most in team annals. Pro Bowl quarterback ELI MANNING had a franchise-record 4,933 passing yards and wide receiver VICTOR CRUZ had a team-record 1,536 receiving yards, 193 more than the previous mark. All-Star defensive end JASON PIERRE-PAUL ranked fourth in the NFL with 16.5 sacks, joining Pro Football Hall of Famer LAWRENCE TAYLOR and MICHAEL STRAHAN as the only Giants to record at least 16 sacks in a season. The Steelers and Broncos have met six times in the postseason with the teams splitting the series 3-3. The winner has advanced to the Super Bowl in five of those meetings, including Super Bowl wins in the past two (1997 and 2005). The Steelers enter the postseason having won 10 of their final 12 games, including six of their past seven. Quarterback BEN ROETHLISBERGER had 4,077 passing yards and has recorded the only two 4,000-yard seasons in franchise history. Defensively, Pittsburgh led the NFL in total defense (271.8 yards per game) and passing defense (171.9). The Broncos went from worst-to-first in the AFC West, winning the division after finishing in last place a season ago. Denver, which used a six-game winning streak to get back in the race, is the fifth team in NFL history to reach the postseason after starting 2-5 or worse after seven games. Second-year quarterback TIM TEBOW won seven of his 11 starts for the Broncos, including all six wins during the club’s winning streak.